WBA light heavyweight champion Dmitry Bivol (16-0, 11 KOs) came close to scoring a knockout in the final round, but he had to be content with winning a 12 round unanimous decision over the powerful Joe Smith Jr. (24-3, 20 KOs) on Saturday night on DAZN at the Turning Stone Resort Casino in Verona, New York. 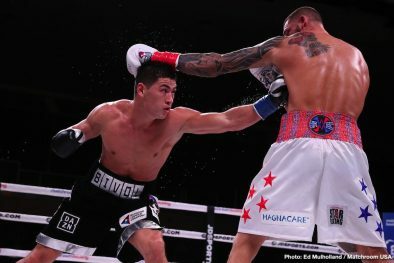 Bivol had Smith Jr. on the brink of being knocked out in the 12th round. 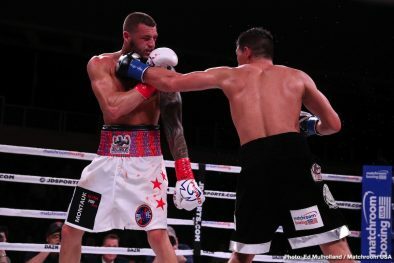 Smith had a hard time landing many of his shots in the fight due to the footwork and the skilled upper movement from Bivol. 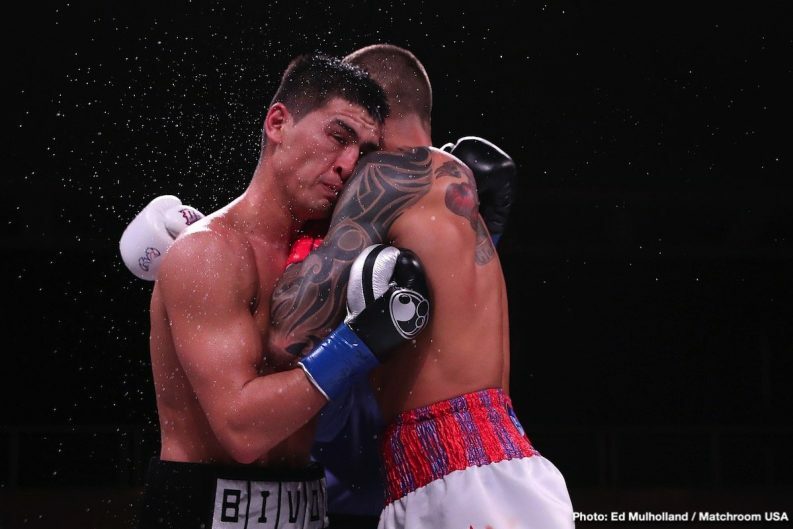 Bivol was hitting Smith with everything that he had to try and get him out of there, but he stayed on his feet until the end. 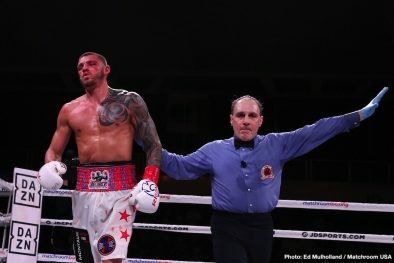 The referee was standing right there, poised to stop the contest if the punishment got too bad, but it didn’t. 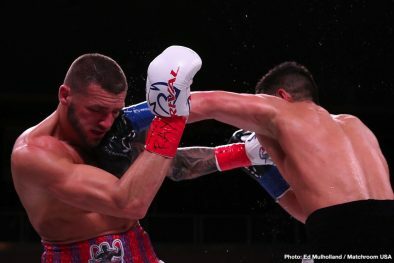 The judges scored it 118-110, 119-109, and 119-109. 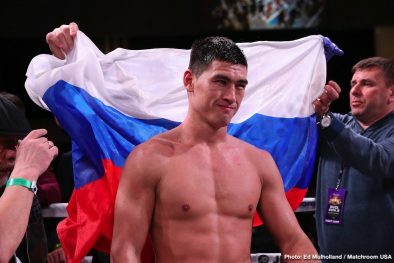 Bivol carefully landed shots in each round, contest with just boxing, and not going for a knockout. 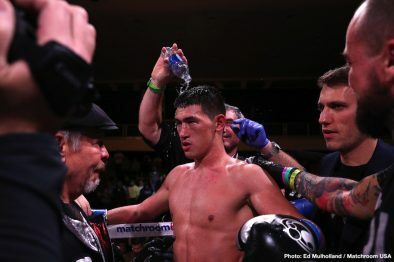 There was moments in the fight that Bivol certainly could have potentially knocked Smith Jr. out if he’d unloaded on him with a flurry, but he seemed to be more focused on boxing smart, not getting hit and winning by a decision. 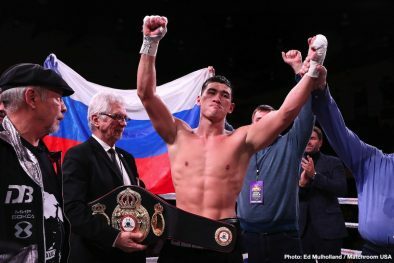 The play it safe approach to the fight that Bivol had probably didn’t endear him to the boxing fans at home and at the Turning Stone Arena tonight. 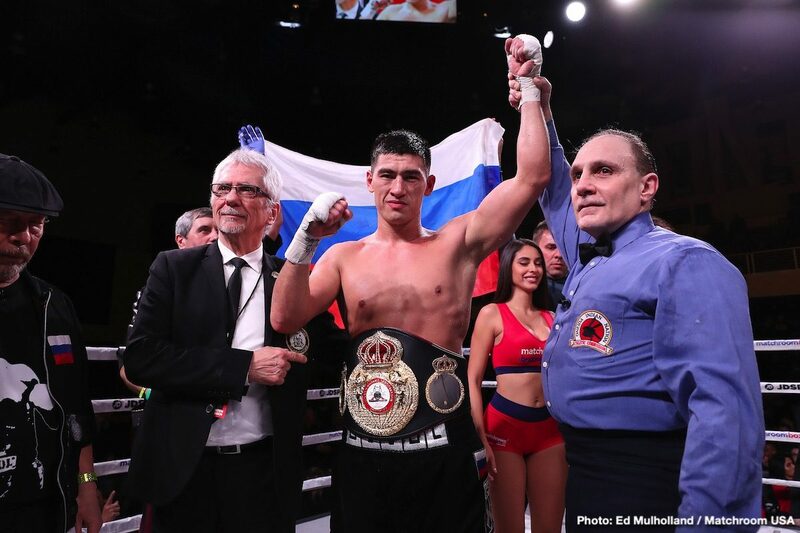 Bivol has a different approach to winning than former middleweight champion Gennady Golovkin. 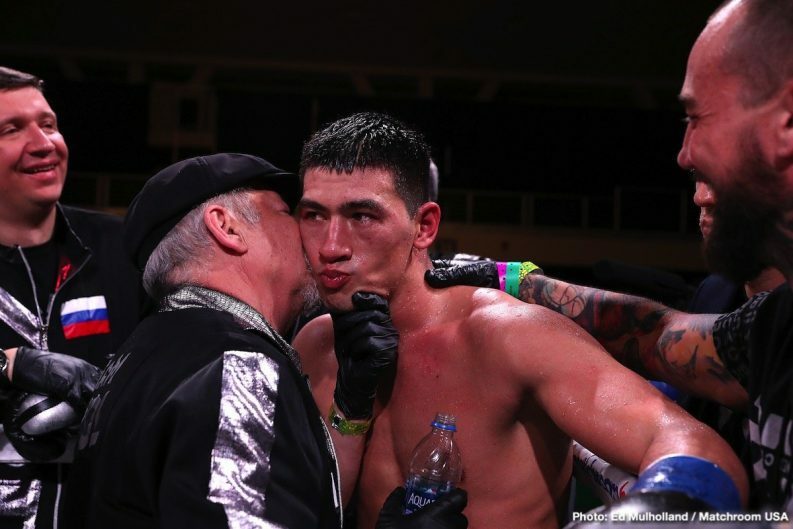 Whereas GGG is willing to put his chin on the line to try and get a knockout, Bivol isn’t willing to do that. 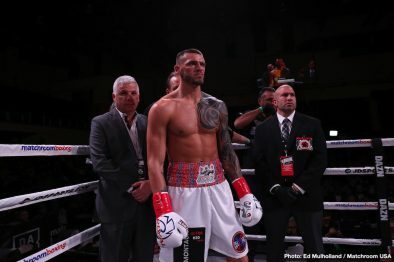 He prefers to box, and not take chances in winning his fights. 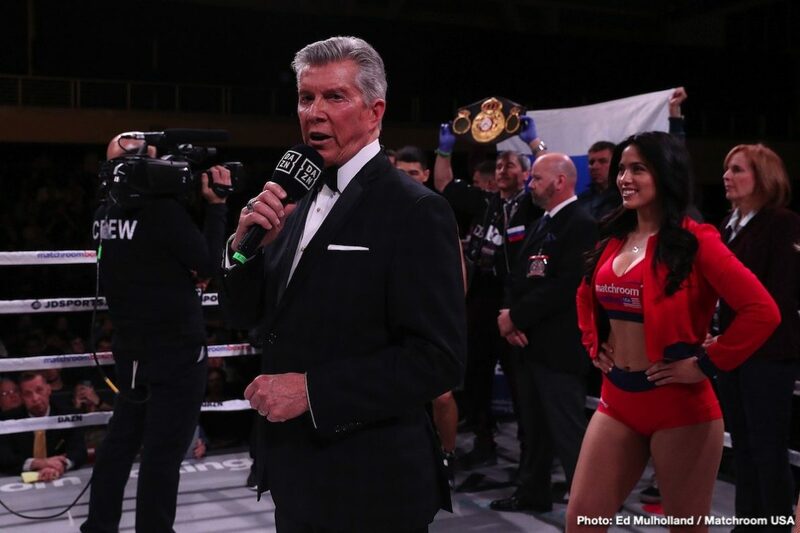 That’s what we saw tonight. 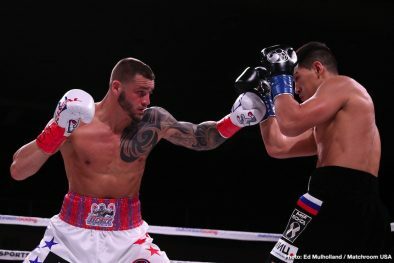 It was mostly a technical fight up until the last seconds of the 12th round. 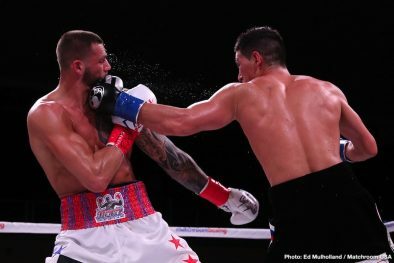 Bivol used his jab, and left hook to do most of the work. 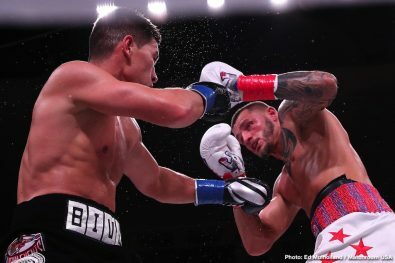 The left hook was effective for Bivol, as he was able to disguise it as a jab and then turn it over into a snappy left hook that he would catch Smith with. 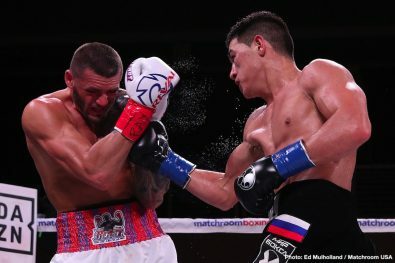 Bivol hurt Smith in the seventh round with a left hook that had him holding on. 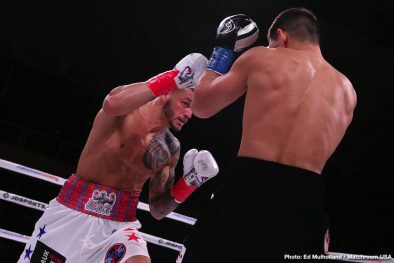 Smith fought timidly in the first four rounds, doing very little, and just following Bivol around. 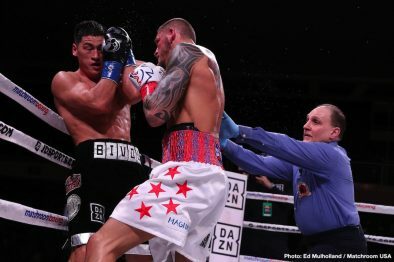 In the fifth, Bivol angered Smith after hitting him hard with a right hand. 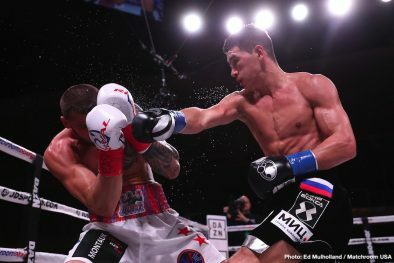 Smith returned the favor with a big right hand to the side of Bivol’s head that sent sweat flying. 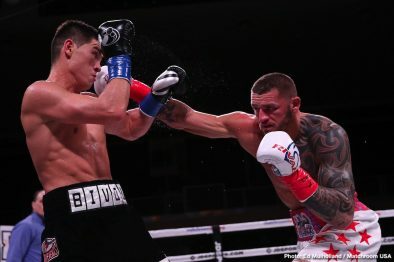 Bivol was staggered in the 10th round at the bell after getting caught by a right hand to the side of the head by Smith. 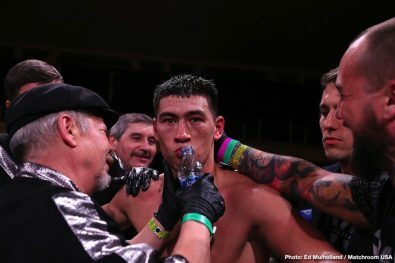 Although Bivol tried to play it down after the fight by saying that he had merely lost his balance after getting hit, it looked more like a case of him being genuinely hurt from a right hand from Smith. 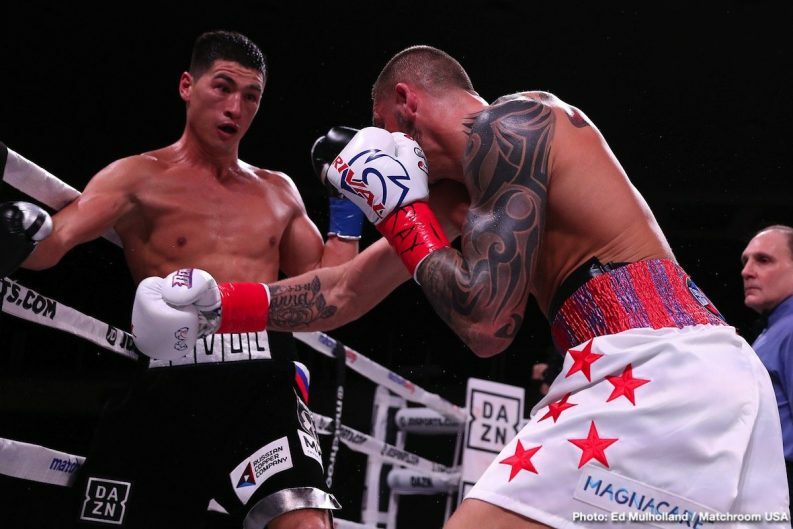 “I little bit lose my balance, I saw this [punch] but I didn’t have enough time to react,” said Bivol. 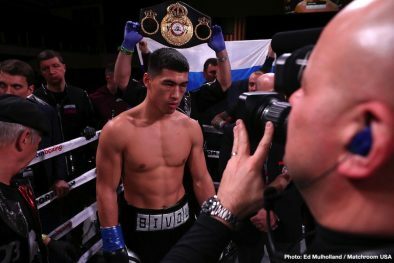 Bivol was clearly in denial in explaining what had happened when he was hurt in the 10th round by Smith. 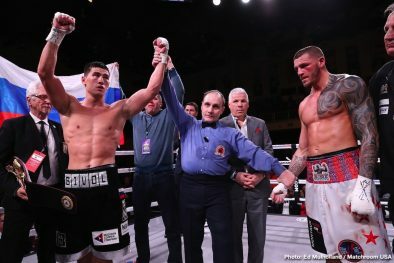 Bivol wobbled all the way back to his corner. 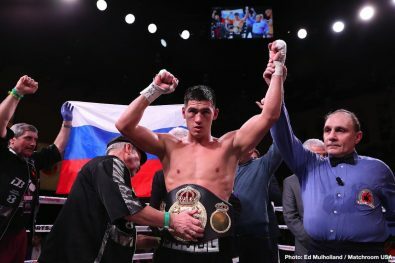 If this was just a situation where Bivol lost his balance, he wouldn’t have been staggering all the way back his stool. 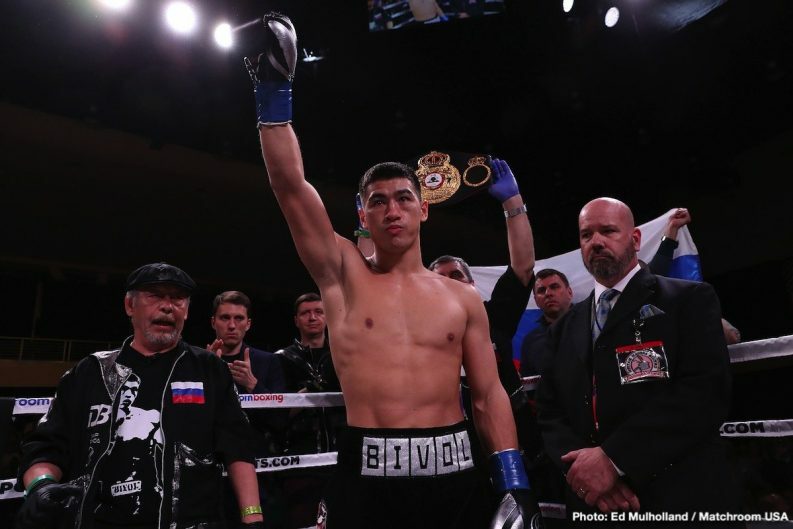 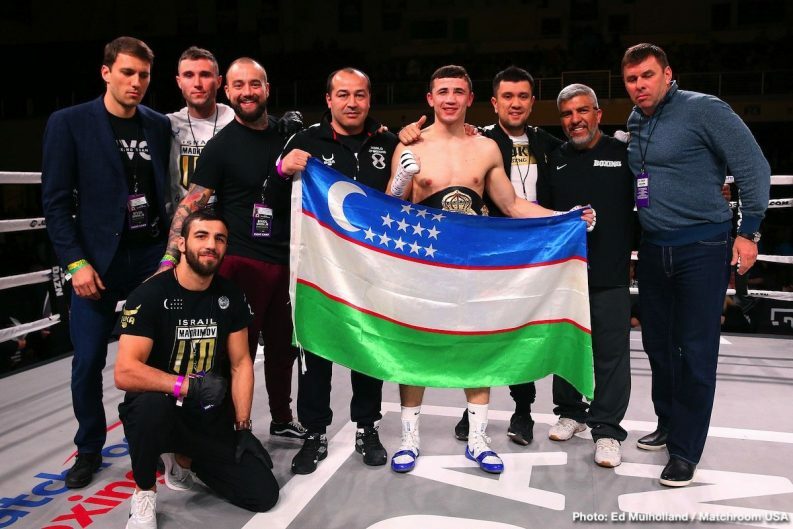 There’s no shame in Bivol being hurt. 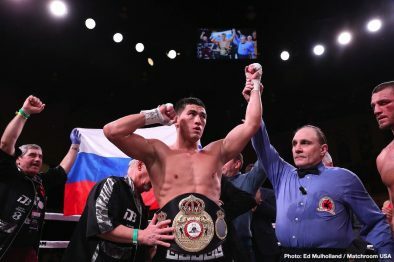 He got caught by a big shot from Smith Jr.
You are here: Home / Boxing News / RESULTS: Dmitry Bivol beats Joe Smith Jr.